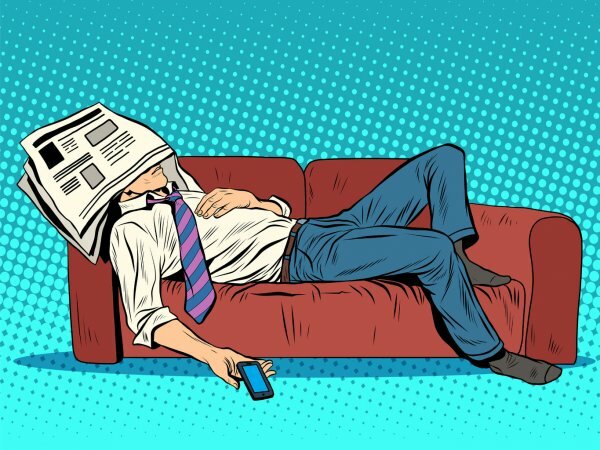 PUTTING AN END TO PROCRASTINATION AND LAZINESS ISN’T AS HARD AS YOU THINK, THANKS TO THE JAPANESE TECHNIQUE OF KAIZEN. There are things we would like to accomplish. Personal goals for ourselves and our lives should take priority, but they fall behind sometimes. We procrastinate and lose faith. Sure, we have the best intentions at the start and approach our goals with enthusiasm and zeal. But then something happens- we contribute just enough effort to tell ourselves that we’ve tried, and then we move on. Maybe we think we are moving too fast with all of this, or maybe results didn’t happen fast enough for our liking. If this is a reoccurring situation in your life, you may be asking yourself why this keeps happening. Well, it’s simple: you’re trying to achieve too much, too quickly. It’s not easy to turn old habits into new ones, and unfamiliar responsibility is easy to grow weary of. Basically, it’s easier and more comfortable to stick with the goals and ideas you know and have had forever. THIS IS WHERE THE JAPANESE TECHNIQUE OF KAIZEN COMES IN HANDY. Japanese culture has a useful practice called “Kaizen.” This ’one-minute principle’ for self-improvement has gained enormous recognition since the world has seen its effectiveness. The underlying principle of this method relies on someone practicing something for a full minute. At the same time every single day, do the same practice. Sounds easy enough, right? Laziness shouldn’t be a problem; it’s not like you’re being asked to do something for 30 minutes every day- just 60 seconds. Even if it is something as simple as doing sit-ups, or something more challenging like reading in a foreign language, do what you enjoy doing, and do it for a minute a day. The belief is that if you are experiencing joy and satisfaction during your practice, you will want to continue practicing the next day and so forth. Sometimes, it’s our fear of failure that prevents us from trying. Don’t let fear hold you back from truly living! You have to overcome your lack of confidence, and let go of those feelings of helplessness. A sense of victory is what you need to move forward. IN FACT, IT IS THAT FEELING OF SUCCESS THAT WILL PROPEL YOU AND INSPIRE YOU TO KEEP MOVING. After you have practiced your chosen activity for a minute, every day, for a few weeks, you can increase the amount of time you spend doing it. Work up to 5 minutes, and you will soon be at 30 and even 60 minutes before you know it. Eventually, you will be doing this practice for a comfortable period of time that you deem acceptable and helpful. It will amaze you how much 1-minute can change your life. It’s important to challenge yourself, but keep your goals within reaching distance. What Imai and others in his field have noticed, is that it is the smaller challenges, when combined with continuous effort, are more rewarding and provide more self-improvement. KAIZEN IS SOMETHING THAT ANYONE CAN ATTEMPT, AND EVERYONE CAN BENEFIT FROM. All you have to do is make a plan, and give yourself a minute to follow through. Raven Fon is a freelance writer and a globetrotting journalist. She studied creative writing and journalism at Saint Petersburg College and has since been a contributor to several written and online publications including her own MysticalRaven.com She is an avid lover of cartoons and comics and believes everyone writes better while wearing a cape.
? Revolutionary Scarf Filters 95% Of Airborne Contaminants To Combat Air Pollution Turin Is Becoming Italy’s First “Vegetarian City” ?